A brand new trailer for one of the three tables set to feature in the three table Alien table pack coming to Pnball FX2 has been released. The trailer below shows of what fans can expect from the Alien: Isolation table, which is based off the2014 videogame of the same name. "Players must help Amanda Ripley survive the dangerous corridors of Sevastopol Space Station while evading a merciless Xenomorph. Additionally, you’ll have to contend with “Working Joe” androids and Station Security Guards, craft weaponry, and hack computers while you keep an eye out for the relentless Alien." 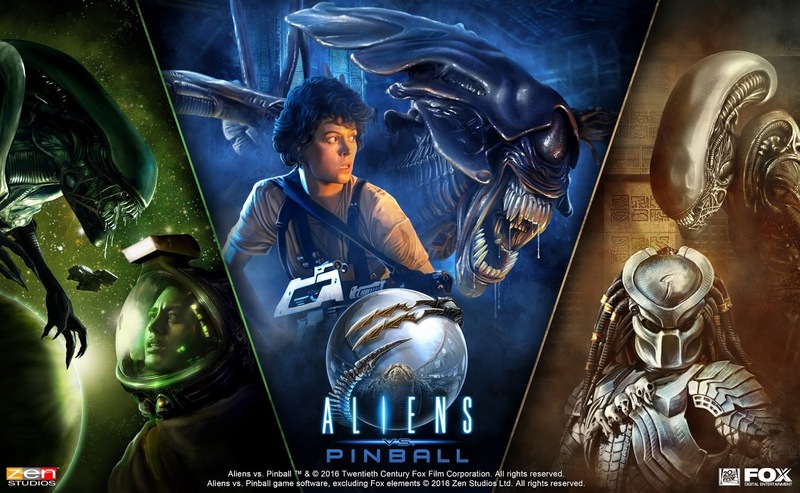 The Aliens vs. Pinball pack will be released onto the Xbox One, Xbox 360, PSN, Steam, Windows 10, Mac, iOS, Android and Amazon on April 26th.